Put flowers in the mud, baby: Weekend. This is what I've been doing all weekend. Sitting staring at my computer screen, watching the word count of my essay sloooooowly increase. This will also be my weekend next weekend, cause my life is that exciting. p.s. 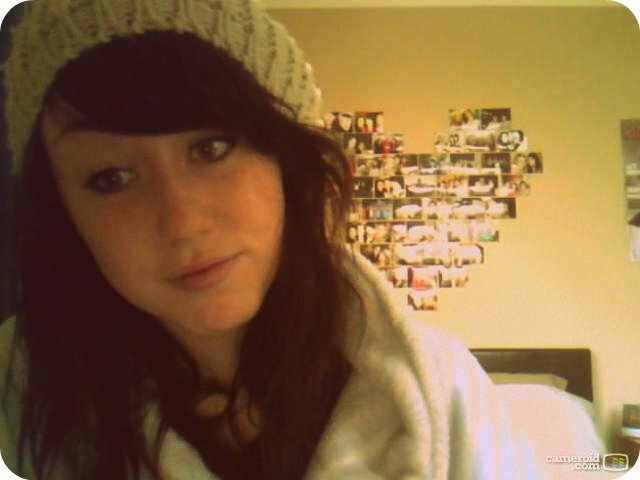 it's cold and raining, hence the hat and dressing gown. actually i cant figure out how to follow! am i missing the button?